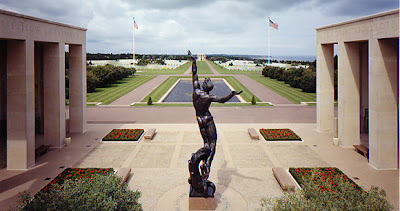 The American Cemetary in Normandy, France has to have been one of my most memorable experiences. I was fortunate to travel here with a man named Douglas Walker. I'll never forget this story nor this man, as he wiped the tears from his eyes as he recounted the events of the day he as a young man was ordered off the back of an American U boat, armed and facing the enemy in countless numbers. Thank you for your service to this country! To all our Marines as we celebrate and give thanks on the "232nd" Anniversary of the USMC.